Our year-end banquet celebrating another great year of MAST skiing will be held on Sunday, April 10, 2016, from 5:00 to 8:00 p.m. at St. Stephen Lutheran Church, 8400 France Avenue South, Bloomington, MN. All skiers and their families are encouraged to join us and celebrate with MAST. Dinner is $17.00 per adult and $12 per athlete and sibling. Children 5 and under are free. Menu: Build Your Own Taco Bar (peanut free, meat and vegetarian options) and Dessert. Registration Deadline: Tuesday, April 5. Pre-Pay Required. Please pay by credit card at the time of registration. If you do not yet have a Minneapolis Alpine Ski Team account with Sports Illustrated Play, you will first need to create an account for your family. All signups and payments must occur by the deadline. Once you are on your SIPlay account, click on the blue button marked SHOP. Please Note: To keep costs as low as possible, we need ALL athletes (except Seniors) to pitch in and help with set up and /or clean up. Sophomores and juniors are assigned set up duties starting at 4 p.m.
Everyone (except, again, seniors) will help clean up afterward, including putting away tables and chairs. Note: at the banquet sign-in table, you can order MAST photo books for this season, to be paid for at at the banquet and delivered later. If interested, bring your checkbooks! We hope to see you on April 10! Your participation makes all the difference! The Minneapolis Alpine Ski Team is heavily dependent on the volunteer efforts of many generous individuals. Listed below are different ways that parents or other individuals can become involved this season as a volunteer. We encourage you to give a portion of your time to help make this the most successful season ever for our athletes. Please sign up for what you would be interested in helping out with today. Thank you. We need your help! Click below to volunteer for specific races. Now that our season is over, we are looking to fill volunteer spots for next year. We need to fill many of the administrative and support roles that keep this team moving along. Some are of short duration and some require a longer term commitment. To learn about how you can become more in the year ahead, please go to our MAST VOLUNTEER SIGN UP. We encourage you to give a portion of your time to help make this the most successful season ever for our athletes. Your participation makes all the difference! Thank you. Did you miss the MAST Fall Information Meeting for Athletes and Parents? You can upload Mark's presentation below for an overview of the loads of information discussed. Gate Training at Welch Village on Saturday, Dec. 5th. Camp Goal: Strengthen technical skills on longer and steeper terrain through a mix of directed free skiing drills and turn shape course sets. Cost: $45 for lift ticket and transportation. $20 if you possess a Welch Season Pass. Bring: Skis, boots, poles, helmet, goggles, ski wear, extra ski socks, shin guards. Dinner or money to purchase dinner at the ski area. MAST Pre-Season Strength and Conditioning Recommendations! Ski racing is a demanding sport. You need to develop powerful legs, strong core muscle groups, flexibility, a high range of motion, quickness, agility, balance, and an upper torso that is as solid as steel. Your coaches advise you to spend 45-75 minutes a day in strength and conditioning training over the next month before our season officially opens on November 9. The stronger and better conditioned you are, the faster you will ski. Here are some ideas to get you in shape for the opening of the season. Run a Lake or Two...Bike The Lakes, the Greenway, the Loop Out To Hopkins...In Line Skate... Speed Hike the Hill at Beard's Plaisance... Walk/Speed Hike/ Bike Sprint Jog Uphill To The Washburn Water Tower From M'haha Creek and Harriet ...Do It Backwards... In 60 Seconds, Perform As Many Box Jumps, Squat Jumps, Sit Ups, Push Ups, Squats, Lateral Leg Lifts As You Can... Bike To M'Haha Falls and Run Up and Down the Steps...Jump Rope...Create Your Own Workout... Have Fun and Think Snow. To help you whittle down the fees that you incur during the season, MAST is offering two fundraising opportunities this fall. The money you raise is credited to your account and can be applied to the team fee, season pass fee, supplemental training and camp fees, and the banquet. Click on the two fundraisers listed below for more information on each. 11:30AM Meet at Washburn HS, 201 W. 49th Street. Ski Tuning Workshop—learn how to help your athlete sharpen and wax skis. 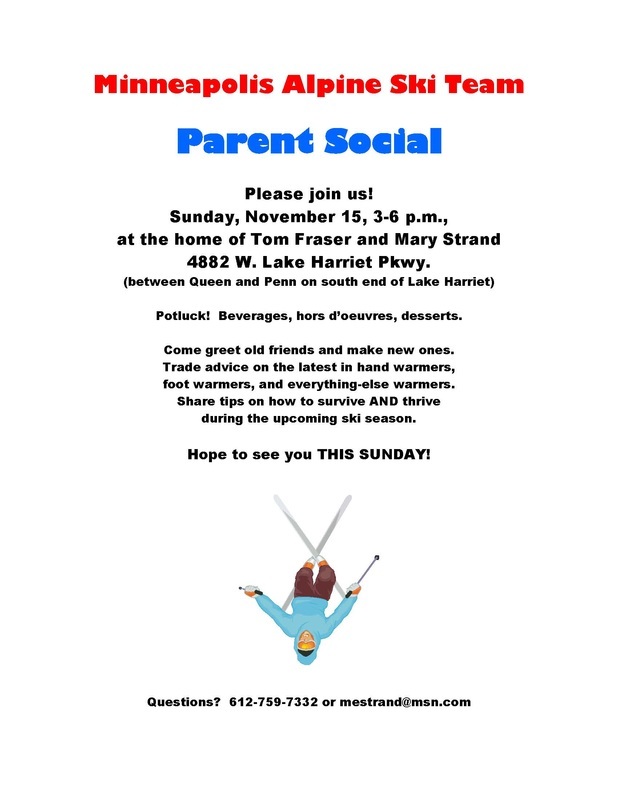 All MAST PARENTS are invited to attend a POTLUCK welcome party at the home of Tom Fraser and Mary Strand from 3-6PM on Sunday, November 15 (4882 W. Lake Harriet Parkway). Download the official Parent Social Flyer for more information. Dryland training from 4:30PM sharp to 6PM. Be dressed for BOTH outdoor workouts on the Washburn turf AND indoor workouts inside the school. Wear athletic shoes, layers of athletic clothing, hat, gloves and a jacket. NO SHORTS ALLOWED!!! Season Pass Picture Night: Monday, November 9 from 7-8PM at Hyland Chalet. If your season pass is paid in full, please join us at Hyland at 7PM to snap your pass picture and pick up your pass. You will need to bring a Hyland Waiver signed by your parents. Click to download the Hyland Waiver. We will have a short meeting at 7:30-7:45, whenever all the passes are distributed. Please arrive before 7:15 so we can finish quickly. MAST Conquers The State Fair Goat Barn! Thank You Everyone For Your Hard Work ! Once again, Chipotle is generously splitting its sales with MAST on the evening of Wednesday, November 11th. Chipotle donates 50% of each sale that evening that is accompanied by a MAST Chipotle Coupon. This fundraiser has been extremely beneficial to MAST in the past. Please mark this dinner date on your calendar and when the time comes, spread the word. Please download the MAST Chipotle Fundraiser Flyer and send it to everyone you know. 1. All students in grades 7-9, even if you took the test last year. 2. All skiers new to MAST in 2015 unless you took the test in the fall of 2015 as a member of your high school fall sports team. 3. All returning MAST skiers in grades 10-12 who last took the test in 2013 or earlier. If you are not sure whether you need to take the test again, please contact Coach Mark at markrobertconway58@gmail.com. Concussion Baseline Testing: Wednesday, Nov. 11 at Washburn HS in the Media Center. Support MAST on Give to the Max Day, November 12! Please Give to the Max anytime between now and November 12! Help MAST fund transportation needs, lift ticket costs, and scholarships for student skiers in need. Tax-deductible gifts can be made to MAST on MAST's GiveMN webpage, ﻿https://givemn.org/organization/201942971-9275﻿. No need to wait until the last minute! Thanks for your help! Parasole gift cards are worth $50 at any Parasole restaurant and sell for $45/card (10% off). You get a credit for $20.00 for each card sold towards your team fee, season pass, or Giants Ridge fee. There are many restaurants in the Parasole family and they’re located all over the Twin Cities with several located in Southwest Minneapolis. 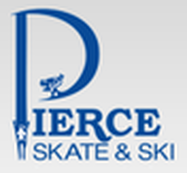 MAST will again be cooking hot dogs for the Pierce Skate and Ski Oktoberfest Sale. In return, Pierce makes a donation to MAST. All of the food, condiments and paper goods are provided by Pierce. We need volunteers to work the many shifts scheduled. Two to four volunteers per shift. Both parents and athletes are needed. Friday, October 2nd through Sunday, October 4th. 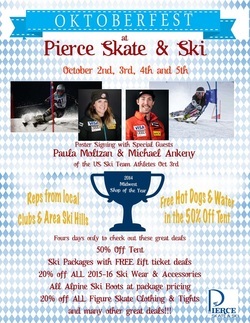 MAST will again be cooking hot dogs for the Pierce Skate and Ski Oktoberfest Sale. In return, Pierce makes a donation to MAST. All of the food, condiments and paper goods are provided by Pierce. We need volunteers to work the many shifts scheduled. Two to four volunteers per shift. Both parents and athletes are needed. CLICK HERE for more information and to sign up. 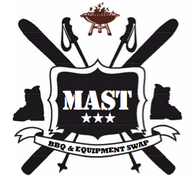 MAST BBQ & Equipment Swap 2015! Please make sure you plan on attending the MAST season kick-off BBQ and Equipment Swap on Sunday, September 27th, 4:30-7:00PM Beard's Plaisance (45th and Upton). Feel free to invite any friends or families that may have an interest in learning more about MAST, equipment, and ski racing.